Oleg Sentsov looks worse than last time and refused hospitalization, despite the deterioration in his health, said the prisoner’s lawyer Dmitry Dinze, who visited the Ukrainian filmmaker in the colony of Labytnangi, as cited by a journalist Anton Naumlyuk. “About a week ago he had a second health crisis. It became bad and he was expected to be hospitalized, to put on a full-value forced feeding, in order to infuse more of the nutrient solution. He refused, and he was left in the colony on the condition that he takes the nutrient solution himself under the supervision of a doctor. He takes two tablespoons a day. It is kept in the cell, he does not intend give up the hunger strike. He says: "I will live as long as I endure," Naumlyuk wrote. 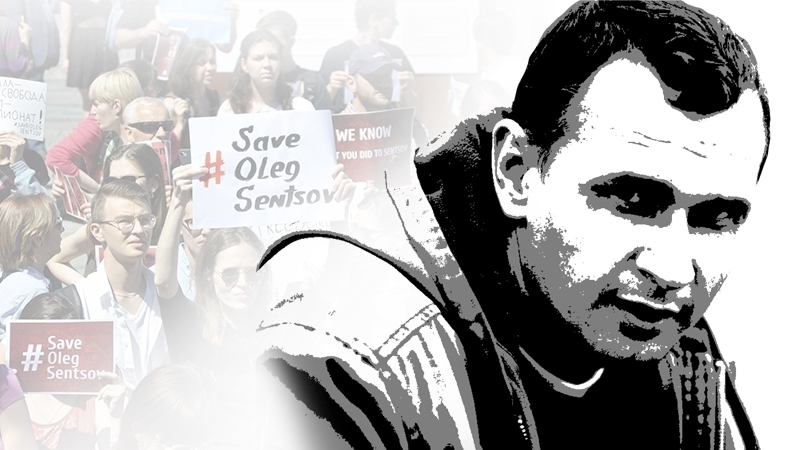 Sentsov expressed bewilderment at the fact that the active campaign of support by Ukrainian political prisoners from Ukraine and the Verkhovna Rada Commissioner Lyudmila Denisova had ended. "Sentsov believes that the Ukrainian side should push the situation with the release of other political prisoners more actively," the lawyer said. The Kremlin prisoner also conveyed his regards to Yevhen Panov convicted in the case of the "Crimean saboteurs" and Volodymyr Balukh. In his publication Naumlyuk also published a photo of Sentsov’s cell. Earlier, Sentsov wrote a letter from the colony in Labytnangi to Ukrainian journalists and filmmakers Maria and Anastasia Starozhitsky. The main leitmotif of the letter of the political prisoner was the call: "to never give up." Member of the Mejlis of the Crimean Tatar people, Eskender Bariev, noted that Russia can liberate Oleg Sentsov by negotiating with America about his exchange for Russian agents who are in American prisons. He recalled that under the same scheme the Deputy Heads of the Mejlis of the Crimean Tatar people Ilmi Umerov and Akhtem Chyigoz were released, but then it was due to negotiations with Turkey.